Faith Formation Classes are offered during the school year. 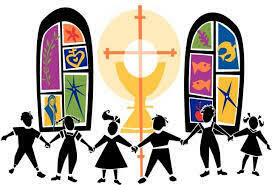 Parents are the primary educators of their children yet the parishes stand by ready to aid and support. 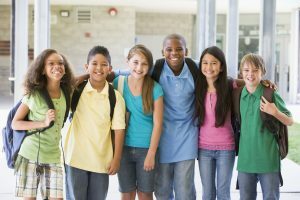 Faith formation is a life-long, ongoing process with essential foundations being set in these school age years. Children attend Faith Formation classes to learn and grow in understanding and knowledge of their faith in order become disciples who live the Gospel in every environment, every step of their lives. Registration is now taking place. Previous families will receive registrations in the mail. New families contact the office any time. Classes begin Sunday, September 30th from 5:30 – 7 pm at Bishop Baraga School. Middle School Youth Group is for students in grades 6 – 8. This age group is exposed to diverse forms of prayer, skits, hands on projects and service opportunities. Register now! Previous families have been mailed registrations. New families contact the office any time. 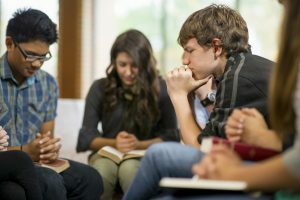 High School Youth Group is for teens in grades 9 – 12 and meets regularly to share faith, food and fellowship. This year we will continue with the program “Chosen” by Ascension press. Retreat experiences are offered throughout the calendar year to deepen our teens’ commitment to our Lord. We offer local events in unity with neighboring Catholic churches, Diocesan events such as camps, social field trips as well as service projects throughout the year. Register now! Registrations for previous families have been sent. New families contact the office any time. Sessions begin Sunday, October 7th from 7:30 – 9 pm at Bishop Baraga School.